As we bid adieu to 2018, it is safe to state that this has been one of the weirdest years in recent memories. Not just in terms of what is happening in our lives, but also in fields of politics, film, culture, and news, the year has left us with some happy and weird moments. And of course, the same rule applies to food. Many of our favorite dishes got a makeover this year, which made us fall in love with them even more. 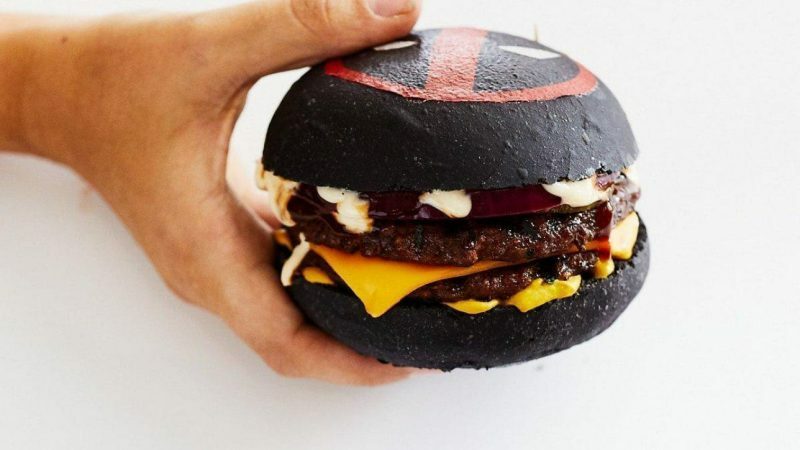 However, given different food crazes ranging from vegan to sustainable and an overall increased obsession with healthy eating, the year also had its share of surprises, which turned into weird and crazy food trends. We saw people drinking black and green smoothies and relishing absolutely out-of-this-world ice creams. So before we move on to 2019, let’s have a quick recap of our top 10 weird foods (or food trends) that left us dumbfounded in 2018. What’s better than the unconventional donuts? 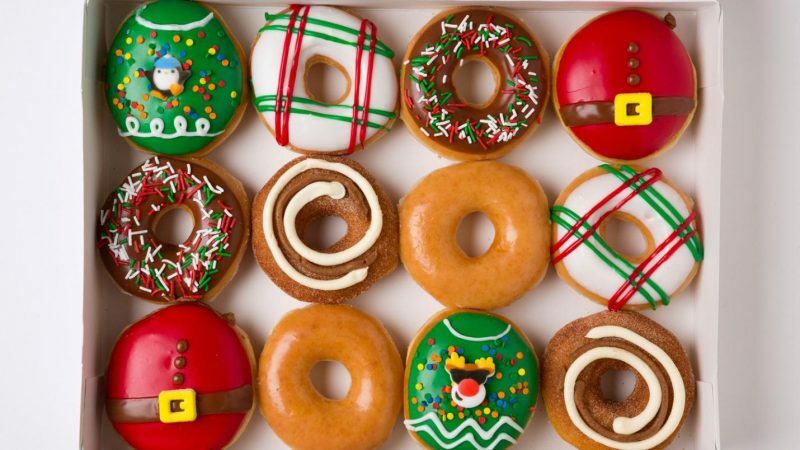 Over the last twenty years, we have tried all the typical fillings one can try with donuts. Some worked and some did not. Different types of jam, chocolate sauce and creams have till date reigned as traditional and popular donut fillings. However, in 2018, people decided to go a little wild with these fillings. Maybe that is why different cafes around the world decided to come up with weird donut fillings. One cafe in LA started making donuts with Snickers inside while another one in NYC decided to put pieces of pears, cardamom, and other flavors in their donuts. To add to the list is the cafe in Sydney which went even one step further and decided to experiment with tea, cherry blossoms, and even yams. Around the world, bakers are experimenting with fillings like liquor, curd, coffee, ganache, and even noodles as donut fillings. Though we are happy with our traditional donuts, we are sure some of you will love this experimental culture that has plagued the world. Truth be told, charcoal and its detoxifying properties have been the fad for quite some years now. However, in 2018, things took a new turn as activated charcoal started emerging as a super-food, which lets you enjoy all your favorite food and drinks while cleansing your system from inside. We are sure you have seen all the blackened dishes and smoothies that your friends and their friends gorged on in 2018 on your social media. Interestingly, this weird trend has its basis in old-timey medicine. For hundreds of years, activated charcoal was used to absorb all the toxins and poisons in the body. The magical absorption powers of activated charcoal are thus also believed to cleanse your body, removing the harmful toxins and antioxidants from inside. However, you might want to note science maintains that activated charcoal will not yield any medicinal benefit unless you are really sick and you consume it in large quantities. In fact, it is a well-known fact that taking activated charcoal mixed with other medicines might alter the efficacy of your medication. So it is advisable to follow the activated charcoal trend as slyly as possible. Now that cannabis aka weed is actually on the verge of getting legalized in so many countries around the world, it is no wonder that people are doing more and more experimentation with it. Everyone has heard of it or tried the famous brownies in their youth, but 2018 saw an increase in other food recipes getting the 420 effects as well. It is interesting to note that heat, especially baking cannabis or the chemical THC in it, and then consumption leads to better effects for some people instead of the usual smoking up. 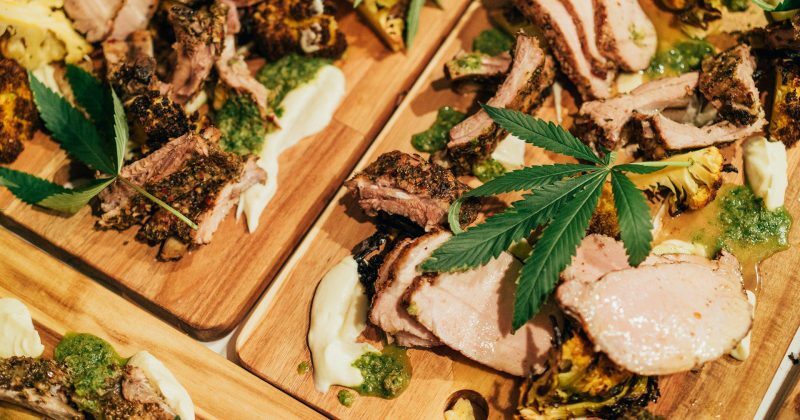 Today, chefs around the world are using cannabis in everyday food instead of the usual baked goods. You will find cocktails, sushi or even burgers infused with the leaves. The idea is to sit down with friends for dinner and have a good time. This disgustingly green looking piece of organism has been used in several cosmetic products for long. But 2018 saw the trend of eating algae take over people in different parts of the world. We agree that this does not seem like a good-looking or sensible choice, but there is no stopping the fans of the trend. The options to consume algae vary a lot – you can enjoy it in shakes and smoothies, or take it in form of chips or protein bars. The idea behind this popular trend is that pressure on producing food for the entire humanity is too high. Algae as food are not only easier to grow, but also offers a lot of nutrition in form of proteins. It can be grown without fresh water and takes lesser time than regular crops. Again the companies and researchers working on algae as sustainable food option are coming up with different forms which do not taste bad at all. With the lack of fresh water and food that our planet is facing, it is actually advisable to be ready to shift to algae over the next few years. As people are becoming more and more aware of the meat industry and its unethical practices, they are turning towards being vegan in increased numbers. Health also plays an important factor in many people’s decision to go vegan. 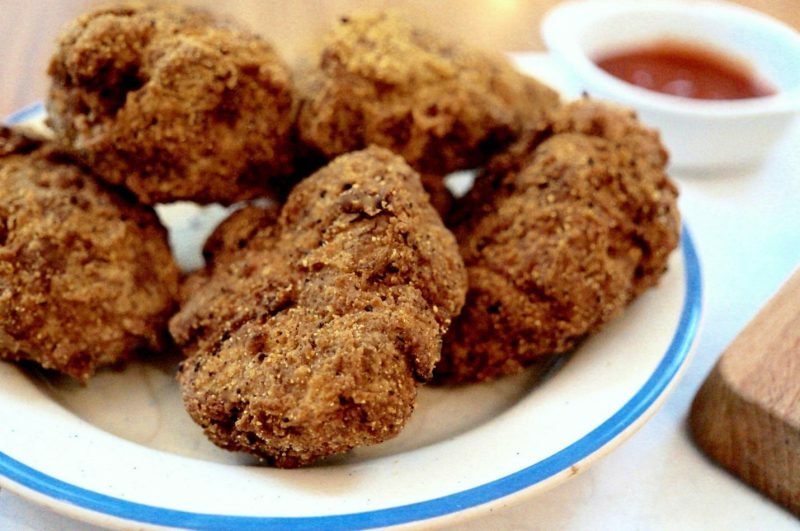 One of the most common things that a newly turned vegan finds difficult is to enjoy something as crunchy, delicious and mouthwatering as fried chicken. This common fast food item is a wonderful delicacy that can be enjoyed at a number of popular outlets across the world. So it was to no one’s surprise that a vegan option for fried chicken came out. The item took the city of London by surprise in 2018, when a popular take-out restaurant started the trend. This exquisite vegan fried chicken is prepared by taking out starch from flour, which means only gluten proteins remain in. This mixture is then baked or fried. This one is not technically a food but more of a food trend. The focus is to utilize as much as possible of the fruits and vegetables that you are cooking. 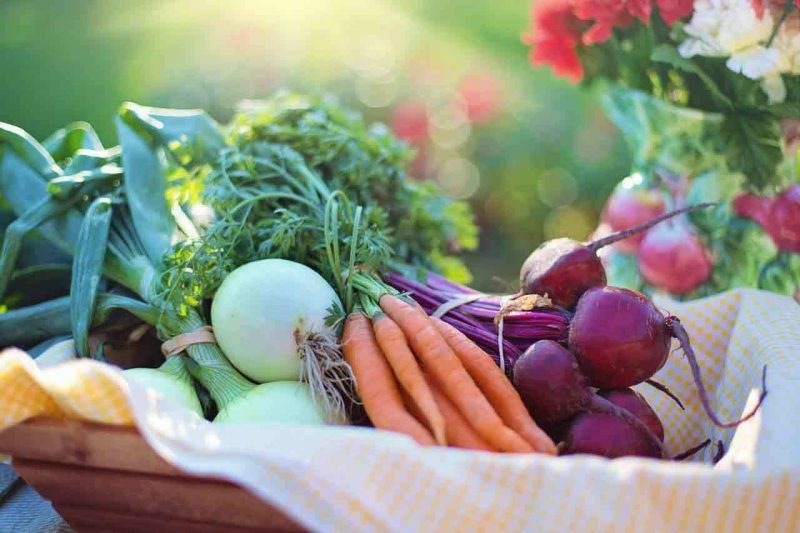 The trend encourages people to use more of an eco-friendly cooking approach that promotes the idea that you have to use every bit of the ingredients whilst cooking, instead of wasting products or putting it in compost. Imagine you are making a vegetable stew. For that, you end up chopping carrots but you waste about 20-30 percent of every piece when you cut off the top and tail. This food trend is aimed at stopping this kind of waste. So the next time, you use root-to-stem cooking, put in broccoli, cauliflower, and mushroom with their stems, or use onions and garlic with their skin on. Although root to the stem is more of an individual choice, we think it makes sense to contribute in what little ways we can do to reduce waste, so this one seems like a win-win! Shortened for a sandwich, the Katsu Sando has been around for past hundred or so years. The dish finds its origins in Tokyo where a chef started to cook it to keep up with schnitzels. 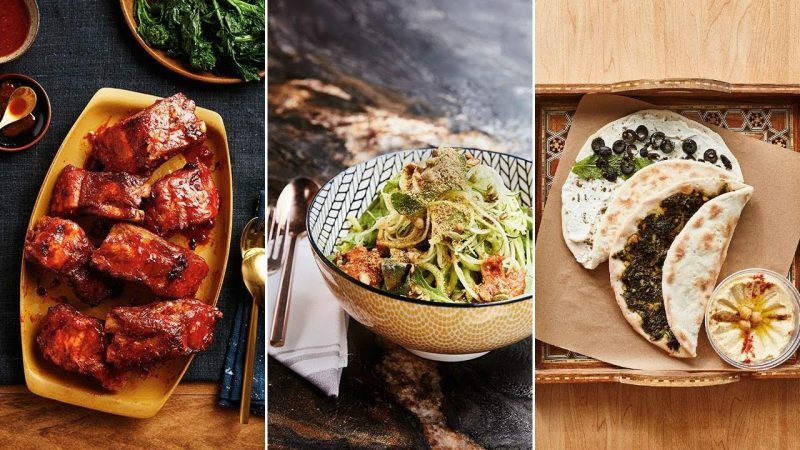 The dish made a huge comeback in 2018 when all popular cafes and restaurants included it in their menu items across the States. 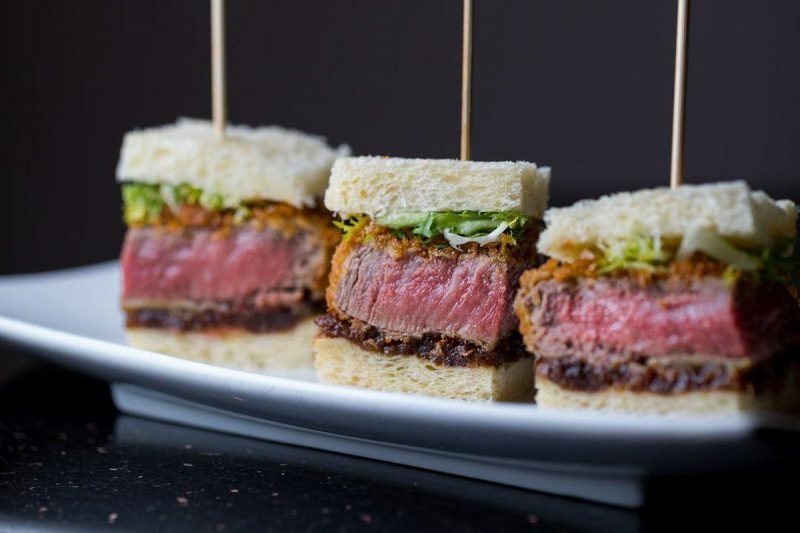 The sandwich is made by putting a piece of pork cutlet, also known as wagyu, between slices of particular Japanese bread made of milk, called shokupan. The sauce that goes in this delicious sandwich is called tonkatsu sauce. The resulting dish is not only delicious and flavorful but also extremely rich in taste. These sandwiches can now be found easily in different states and cities around the USA, and we suggest you taste them yourself. Believe us, you will be surprised. Well yes, this might be the weirdest trend that 2018 brought in. It is the type of water which is sourced from a water source and bottled without any treatment. Instead of your usual tap water which has a number of chemicals and other things added by the plants after filtration, this type of water comes directly from nature. And as expected, it is sold at an unnaturally high price. The supporters of the trend claim that regular tap water is infused with many harmful chemical substances like drugs and what not. 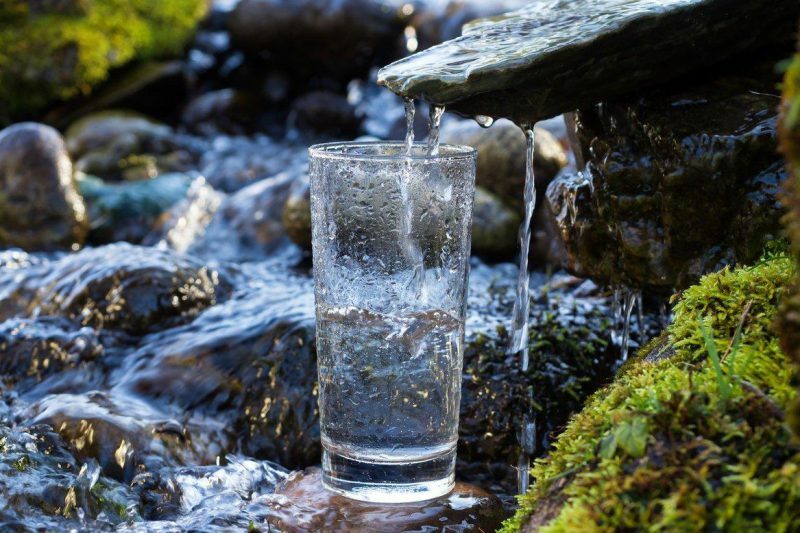 Whilst raw water comes from a natural place – a natural enclosed spring – which makes it better for human consumption. However, EPA has declared their disagreement with this chain of logic. They clearly state that water from a natural source can have chemical, physical or biological contamination, which requires treatment. A glass of water which is seemingly clear might still contain harmful bacteria, chemicals, and parasites. Still, the sales of raw water remain unaffected and people keep buying the bottles despite the high price and health risk. Discovering new flavors of ice cream has been our favorite pastime for so long. The trend is not exactly new; however, 2018 saw an unusual spike in new flavors coming out, from the tastiest to the weirdest editions, which left us all happily surprised. For the weird part, ice cream makers came out with flavors like brie, chili, squid ink, broccoli (why?! ), pickle juice and even pizza. Some places tried a beer, ham, lobster as well as olive oil flavors in ice-cream too. 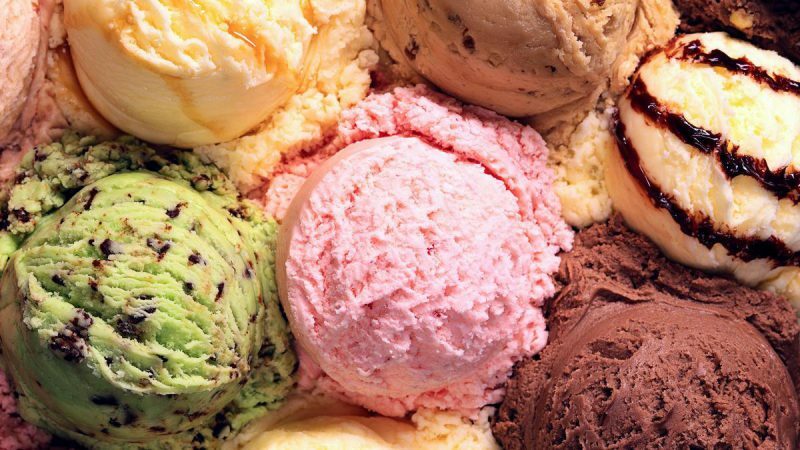 To all the ice cream enthusiasts, the year gave some happy and some weird ice cream moments. Should they have done it – well that is a question that no true ice cream lover can answer at the moment. We are just waiting to see what 2019 has in store for us. Healthy food has always been the center of attention in new food trends around the world and 2018 has been no different. The year saw an increase in so-called gut-friendly foods which claim to come with healthy, good microbes that can make your gut better. It is a known fact that your gut controls the physical and mental balance of your body. These foods are then supposed to balance the microbe levels in your digestive tract, work on glucose levels and fat storage and regulate the hormones in the body. Most foods that fall in this category are fermented with a high content of fiber and nutrients. Most vegetables, beans as well as grains are good for your gut. 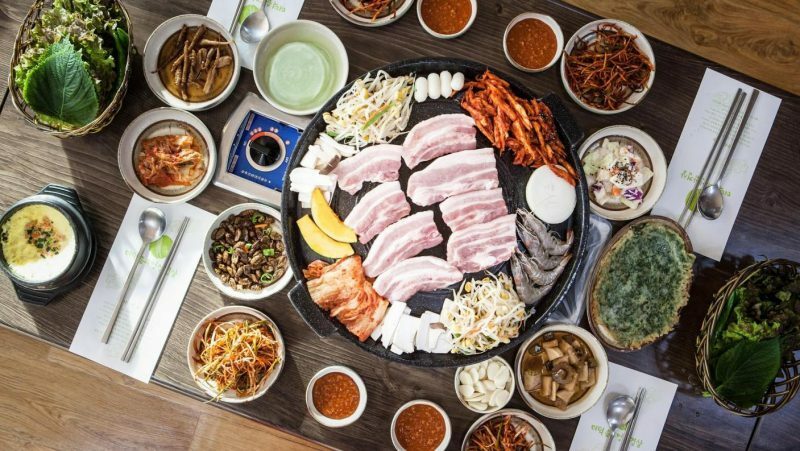 Similarly, kimchi, sauerkraut, kefir, pickles, miso, and tempeh are all considered gut-friendly. You should also try to avoid red meat, eggs, dairy, and junk food as much as possible to maintain a healthy digestive tract. So what is your favorite weird food from 2018? Let us know in the comments below.